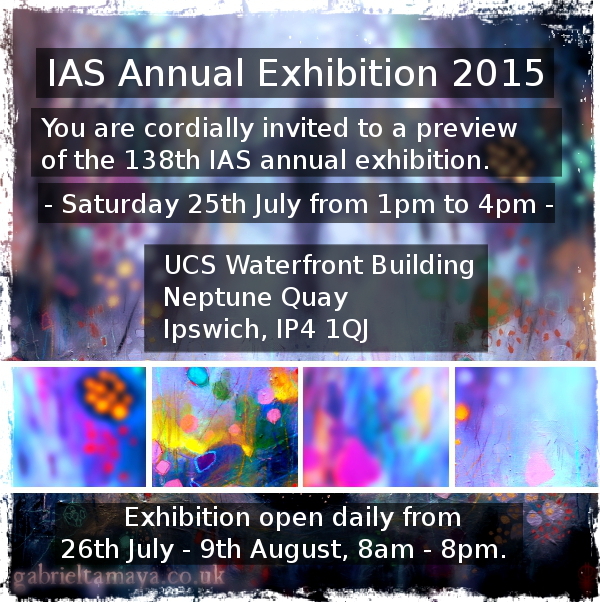 I am really please to invite you to a preview of the IAS Annual Exhibition tomorrow, Saturday 25th July from 1pm – 4pm. Some of my work will be available for viewing and for sale along with other wonderful local artists work. Venue: UCS Waterfront Building, Neptune Quay, Ipswich IP4 1QJ. The exhibition will be open daily from 26th July to 9th August, 8am to 8pm.